When Does Probate Take Place? When an individual dies, the probate process begins after the executor files the necessary application in probate court. Sometimes, the surviving family members will hire a lawyer to represent them in the probate court in The Woodlands. The executor then proves the validity of the will before the Court. In such cases, it usually takes only a few months to complete the probate process. 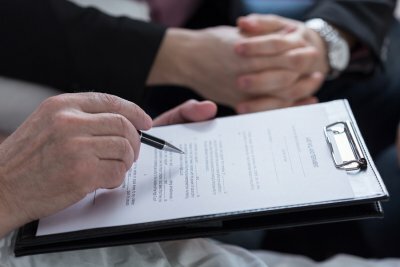 However, some cases may take longer, particularly if a probate attorney disputes the authenticity of the will or disputes one or more terms of the will. You can hear more about the probate process by watching this video or consulting your lawyer. This expert explains why probate is necessary and discusses the role of the executor. He also explains which types of assets do not need to go through the probate process. Generally, the process of divorce is similar across the country. However, each state sets its own specific family laws . 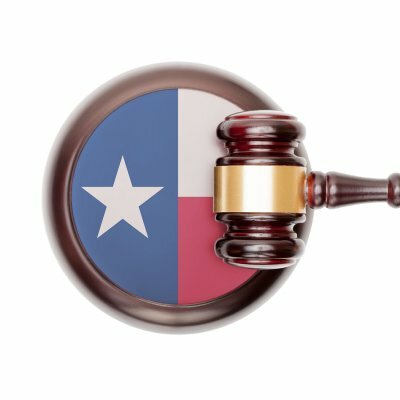 So, if you’re a resident of Texas contemplating divorce, it’s in your best interests to consult a family law attorney serving The Woodlands as soon as possible. Your lawyer can advise you of the applicable laws, explain the steps of the process, and help you in protecting your legal rights. If you’ve recently moved to Texas or to a new county in Texas, the divorce process can take a little longer than usual. As your divorce lawyer can inform you, Texas has a residency requirement. You or your spouse must have been a resident of the state for six continuous months. Additionally, one of you must have been a resident of the county in which the divorce papers will be filed for a minimum of 90 days. After the lawyer files the divorce petition, the divorce cannot be finalized for at least 60 days. However, if there are disagreements it may take longer to finalize a divorce. Like almost all other states, in Texas, you can file for either a no fault divorce or a fault-based divorce. If you can prove that your spouse is to blame for the breakdown of the marriage, it may be in your best interests to file for a fault-based divorce. This is because the judge may consider the fault of the other spouse when determining questions such as the division of marital assets. The grounds for a fault-based divorce include adultery, abandonment, cruel treatment, long-term incarceration, long-term confinement to a mental hospital, and separate residency of at least three years. Can I Receive Spousal Support? Spousal support isn’t alimony, and it isn’t automatically granted. However, your divorce lawyer can argue that you should receive spousal support payments. In many divorce cases, a judge may grant temporary spousal support while the divorce is pending if you are unemployed or have significantly lower wages than your spouse. Depending on whether the conditions are met, it is possible for spousal maintenance payments (or alimony) to be ordered paid for up to three years after divorce. Divorce is rarely a stress-free process, particularly when the parties disagree about issues such as child custody or the division of assets. When a marriage has produced a child, it is particularly important to retain the services of a family law attorney in The Woodlands. A lawyer can help both parties develop a unique child custody plan that supports the child’s best interests. Ideally, a custody plan should allow the child to have access to both parents in a balanced manner and reduce the likelihood of future conflict. Other common disputes a divorce lawyer can handle include disagreements regarding property division. Under Texas law, property division during a divorce isn’t necessarily equal. The judge considers factors such as fault of a party which gives rise to the divorce as well as each party’s earning potential. A lawyer can thoroughly review the case to determine if one party may have a stronger claim to certain property. Family law attorneys can also provide guidance with regard to child and spousal support disputes. Because judges typically consider more than the mere finances of the parties, it is important to have a trusted lawyer assist you in asserting your rights. If you haven’t yet drafted a will, it’s time to schedule an appointment at a law firm that emphasizes estate planning in The Woodlands. Having a will is important for nearly every adult, especially parents who have minor children. An estate planning attorney can draft your will in a way that reduces the possibility of disputes. This can go far in promoting family harmony after your death. Even if you have already made your last will and testament, it’s a good idea to visit your lawyer periodically to update your will as your circumstances change. Even if the distribution of your property after your death is not a matter of concern for you, you definitely need a will if you have minor children. If you die intestate (which means without a will) then a judge will determine guardianship for your children. This may not necessarily lead to an arrangement that you would have chosen yourself. Having your lawyer create a will for you is the only way to designate your children’s guardians in a manner pleasing to you. It’s common for parents to name their children as beneficiaries for certain assets. However, if you die while your children are still minors, an adult must manage the property. You can use your will to designate a property manager and you can leave specific instructions with regard to how you want the property to be managed. Sometimes, an individual’s beloved pets end up in an animal shelter after his or her death. You can prevent this from happening to your pets by using your will to designate a caretaker for your furry or feathery friends. You might also consider leaving money to the caretaker for the care of your pets. Many shelters and animal adoption centers offer plans which allow you to create very unique and satisfying arrangements for your pets should you pass. People often consider it very important to ensure that specific assets are distributed to certain people after their passing. You can use your will to designate beneficiaries for certain financial accounts, vehicles, and similar assets. If you have family heirlooms, designating beneficiaries for them can be helpful for preventing family disputes after your passing.